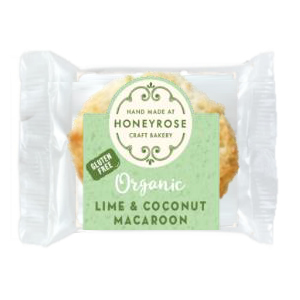 Zepbrook is proud to share Honeyrose's treats with all of our customers. This independent family Business, created in the turn of the century, is London's oldest wholesale bakery, which provides handmade craft wonders. 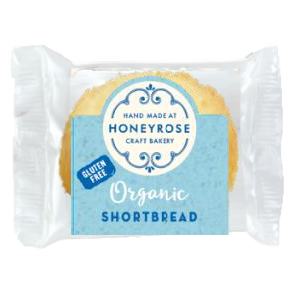 All of its products—made in UK in their award-winning artisan and founder-managed bakery—are Organic, Gluten-Free and GMO-Free. 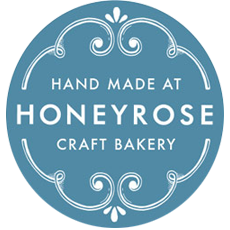 Get your Honeyrose treats from Zepbrook tomorrow: order before 5pm if you're in London (or the M25 area). 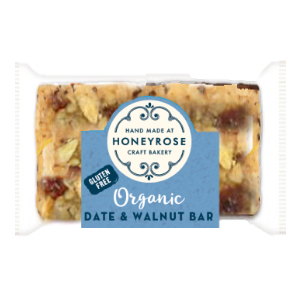 Do you need Honeyrose products that are not currently listed on our website? Contact us - we can source and deliver many other products for a competitive price. Call us now on 020 8752 0110 or enquire online. 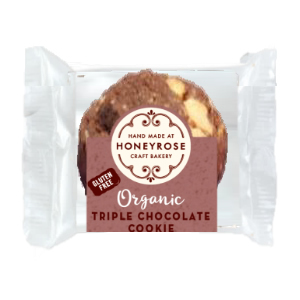 Organic & Gluten Free – Deep chocolatey cookies bursting with rich dark and milky white Belgian chunks.